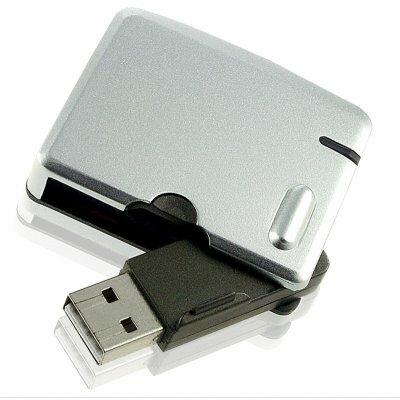 Successfully Added Foldable Flash Harddisk - 4GB to your Shopping Cart. Portable flash memory Pen Drive with 4GB of internal flash memory for easy backup and transport of files, and featuring a foldable USB OUT for protecting the interface while traveling. It has a very small size but with USB 2.0, this pen drive will be transferring files up to 48Mbps. This is a perfect option for anyone needing to carry around large amounts of digital files on them, and is available with Chinavasions no M.O.Q. (no minimum order quantity) and one year warranty.